The United Kingdom has a new record for most expensive home ever sold! Except of course home is a misnomer, because it’s been purchased by a shell company whose ultimate owner is impossible to identify! Cool! The Guardian reported that a two-story penthouse in Knightsbridge’s ultra-luxury development One Hyde Park, tucked into the vicinity of Harrod’s. It sold for a positively alarming £160 million. 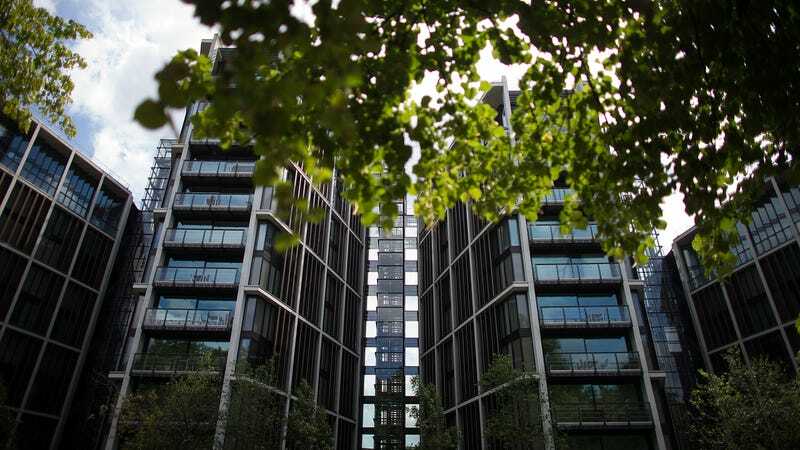 The record was previously held by the £140 million that Russian billionaire (and exile, thanks to some trouble at the Bank of Moscow) Andrey Borodin coughed up in 2011 for the estate Park Place. But that was a stately home, complete with “complete with 18 cottages and 200 acres of park land,” according to the Independent, and also possibly a ghost. This is a mere apartment! Though, admittedly, “mere” is probably stretching it, since you get “two wine cellars and two balconies overlooking the park,” and “Block B is said to have the best views of the park,” meaning Hyde Park. I mean, imagine settling for the second-best views of the park! What a revolting thought! Also included: the ability to order room service from the neighboring Mandarin Oriental hotel. I mean, it’s not like you pay all that money in order to walk down to the local Tesco’s for a prepackaged sandwich, like a filthy peasant. Though it seems like a leap to assume anybody will be spending any serious time here, anyway. Room service makes more sense when any staples you buy will just go bad between visits. “Sales of the most expensive homes in London are increasing again as a weaker pound and falling values offset the tax rises that had hurt demand,” noted Bloomberg. I’m starting to suspect most of the world’s super-rich have a highly specific humiliation fetish in which all they want is for one of their “homes” (read: storage locker for their wealth) to be seized for use by the people so they can get lectured by a stern proletariat enforcer.